F.lux is quite popular among computer users who spend a lot of time working on the computer, especially in the dark. However, f.lux takes up a lot of RAM space, so if your Mac works slowly, you should uninstall some apps working in the background, including f.lux. In this article, we will give a full guide of 2 ways to remove the f.lux application completely. 2. 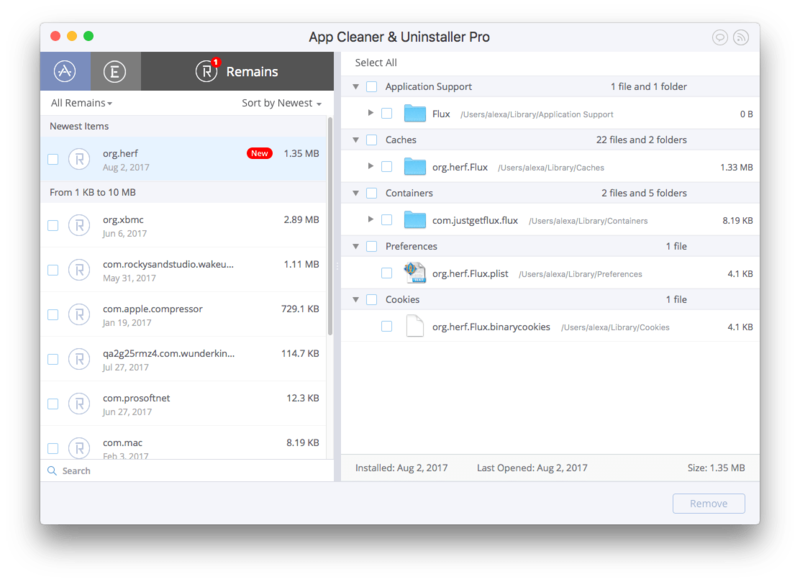 Uninstall f.lux using App Cleaner & Uninstaller. When you remove applications by just moving them to Trash, their support files remain on your MacBook or iMac. It’s very important to clean up traces of deleted applications so as to prevent cluttering of disk space. Please follow the guide to uninstall f.lux accurately and completely on your macOS system. 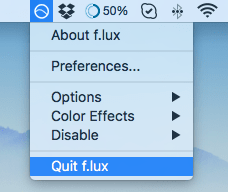 Quit f.lux. For this, click on its icon in the toolbar → select Quit f.lux. 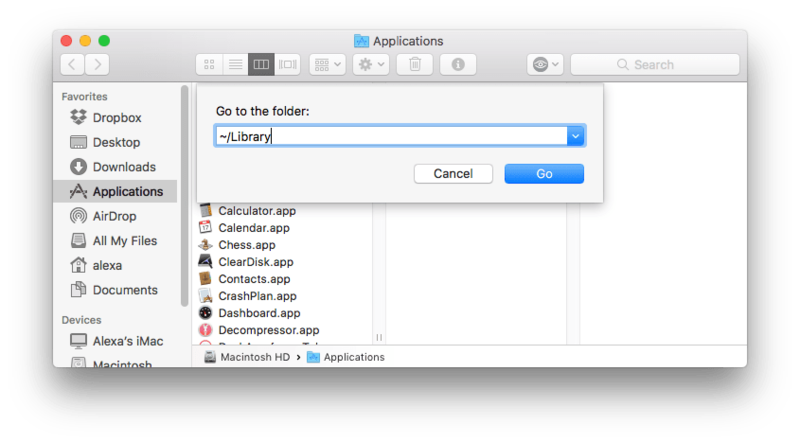 Then go to the Applications folder in the Finder → find the f.lux executable file there and remove it. 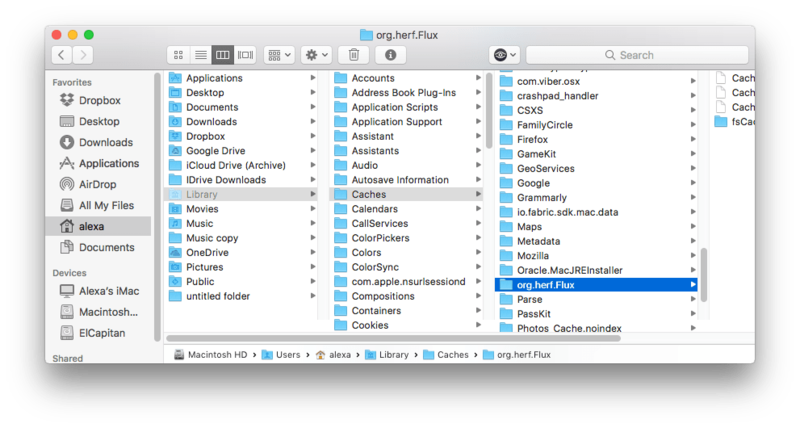 Now, you should find support files of f.lux stored in the Library folder. 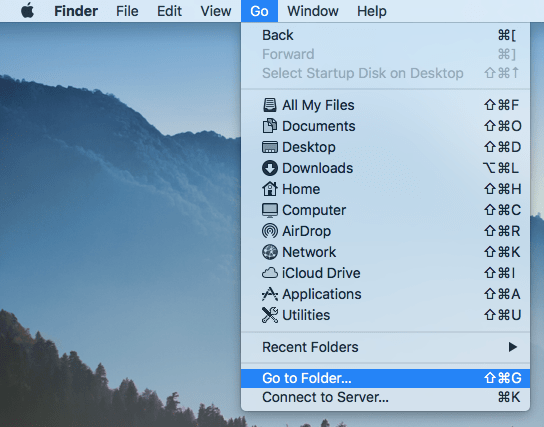 While the Finder window is still open, click Go in the Menu Bar → select Go to Folder. Type ~/Library in the search field and click Go. These five steps should always be taken when you want to uninstall any program on your Mac. However, there is one more way of removing f.lux. It needs just three easy steps. 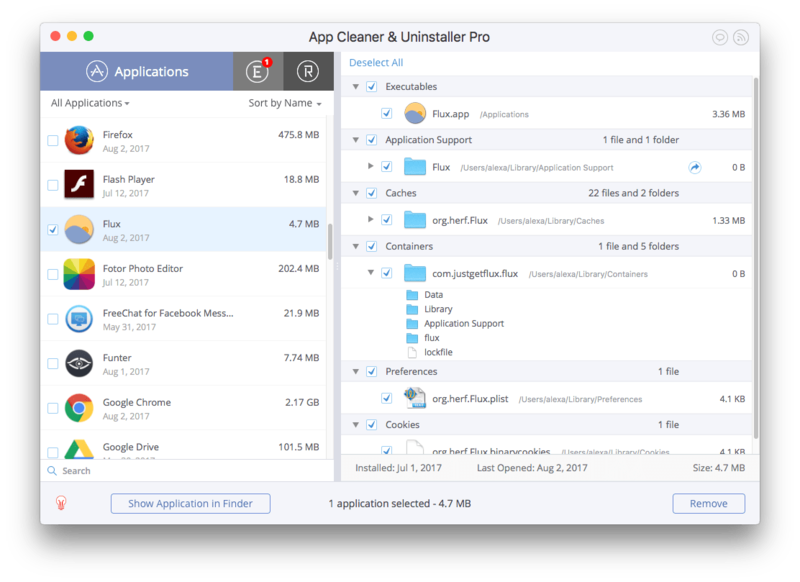 Learn how to uninstall f.lux with App Cleaner & Uninstaller. The application will scan all your installed programs. When the scan is complete, find f.lux and select all its files. Click the Remove button and confirm its uninstalling. Note, App Cleaner & Uninstaller also shows the leftovers of already deleted applications in the Remains tab. 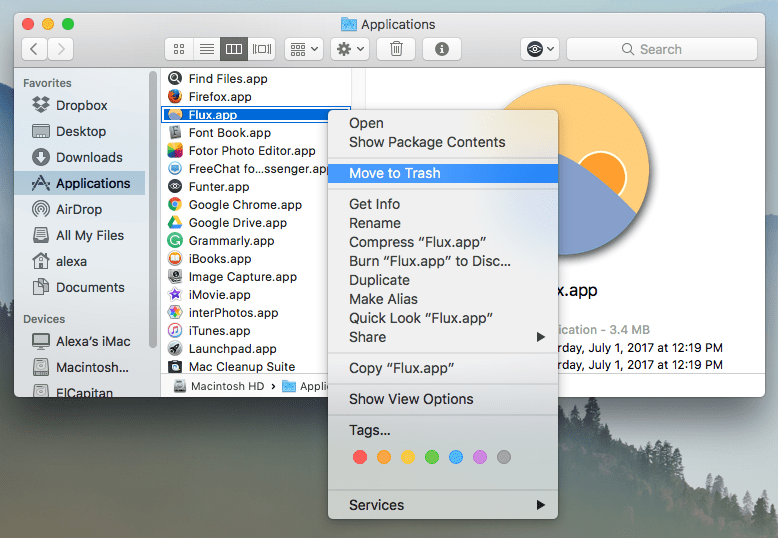 If you have already moved f.lux to Trash but haven’t cleaned up its caches, go to the Remains tab and remove the traces of f.lux.